Desc: 3. The Warranty does not cover incidental or consequential damages, including, but not limited to, lost time, inconvenience, loss of vehicle use, cost of towing or transportation, related property damage or consequential damages of any type or nature. 4. 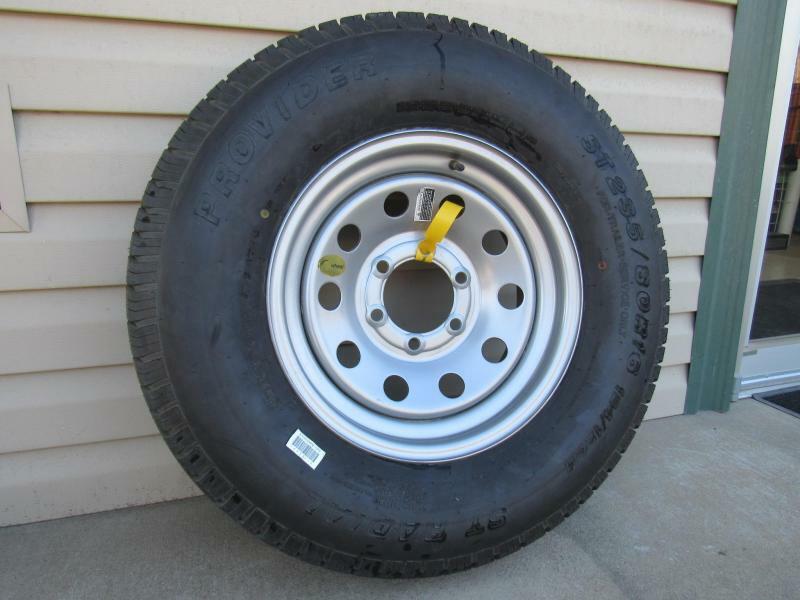 The Warranty is void if a covered tire is worn past last 3/32 of tread depth at any point on tread contact surface. The Warranty does not apply to the following: a.) 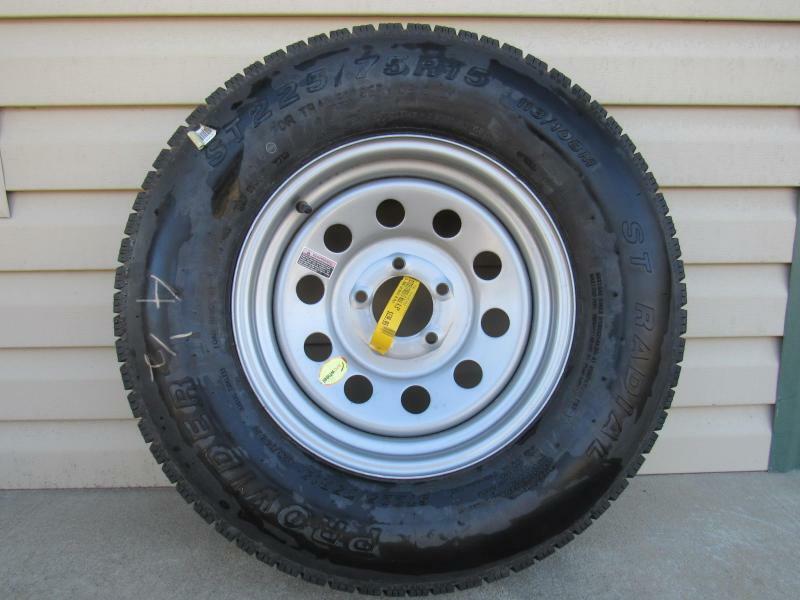 Tires or wheels subjected to overloading, underinflation, improper mounting, fitment to incorrect rim, purposeful abuse or chemical contamination. b.) Tires or wheels which have been patched, plugged or repaired or into which liquid balancers or sealants have been introduced. 5. This Warranty makes no expressed claims of expected tire wear. 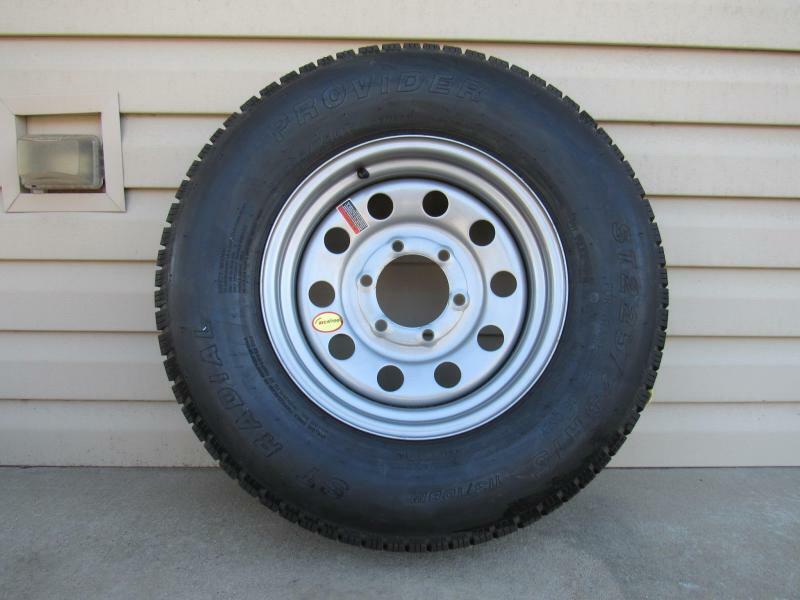 Variables that affect tire wear are driving conditions, load and tire inflation pressure. There are no warranties either expressed or implied, including the implied warranties of merchantability and fitness for a particular purpose, which extend beyond the description on the face hereof. We shall not be liable for any incidental or consequential damages. Note: All specifications subject to change without notice. 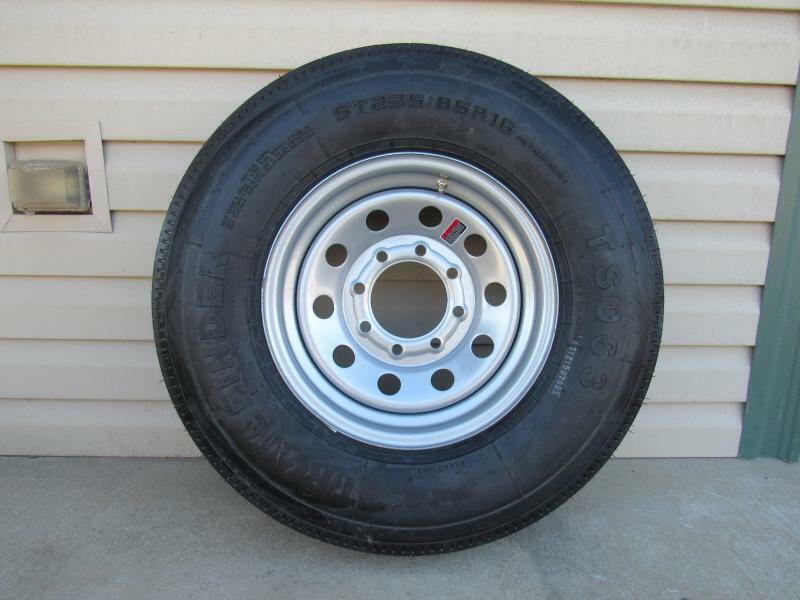 Desc: Trailer Tires Only/ 3500lb Axle / 8 Ply / Wholesale Customer Discount Available when buying 4 or more See Price C / Warranties are subject to the terms, conditions and limitations stated herein, tires and wheels to be free from defects in materials and workmanship. 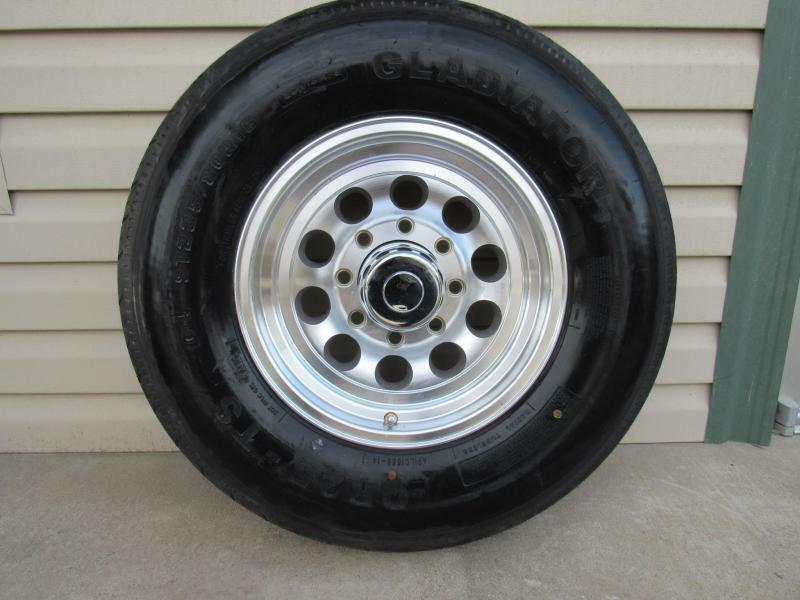 This liability for tires and wheels shall be limited to replacement of any defective tire or wheel plus any applicable taxes, unless otherwise stated below. 1. This ("Warranty") applies only to the original purchaser for two years from the date of purchase. a. )The warranty period for the coating of the wheel is ninety (90) days from the date of purchase. 2. First year 100% replacement for any material or manufacturing defects. 3. The Warranty does not cover incidental or consequential damages, including, but not limited to, lost time, inconvenience, loss of vehicle use, cost of towing or transportation, related property damage or consequential damages of any type or nature. 4. 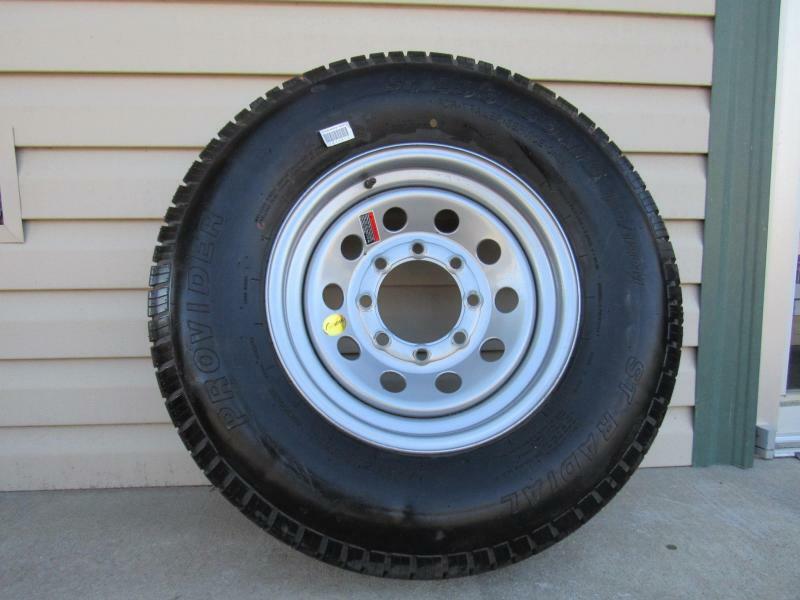 The Warranty is void if a covered tire is worn past last 3/32 of tread depth at any point on tread contact surface. The Warranty does not apply to the following: a.) 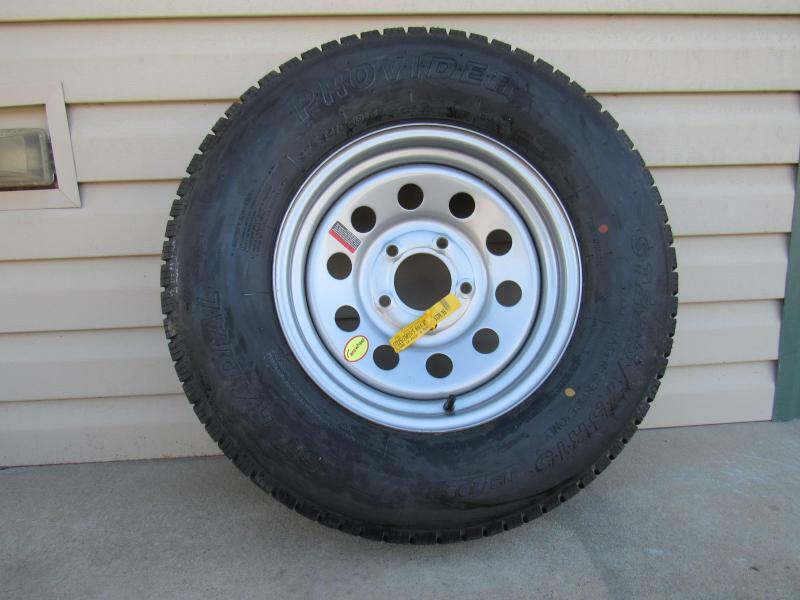 Tires or wheels subjected to overloading, underinflation, improper mounting, fitment to incorrect rim, purposeful abuse or chemical contamination. b.) Tires or wheels which have been patched, plugged or repaired or into which liquid balancers or sealants have been introduced. 5. This Warranty makes no expressed claims of expected tire wear. 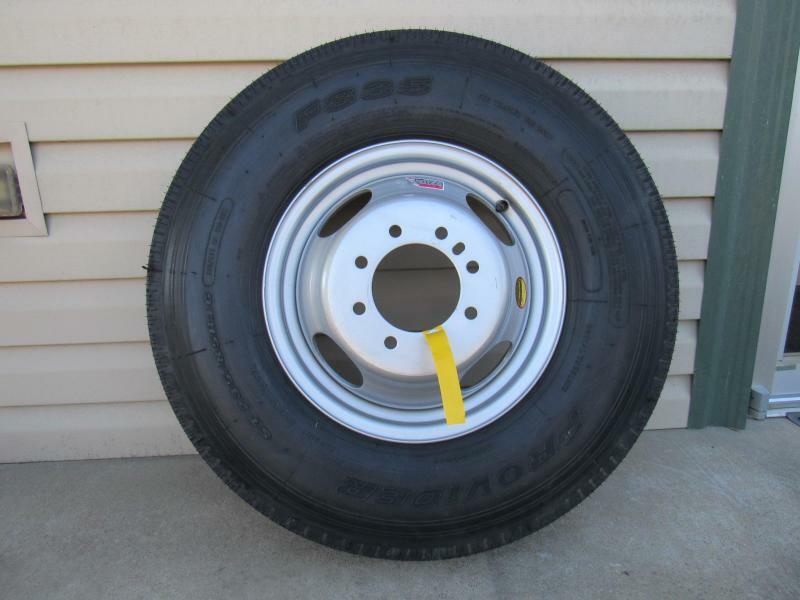 Variables that affect tire wear are driving conditions, load and tire inflation pressure. There are no warranties either expressed or implied, including the implied warranties of merchantability and fitness for a particular purpose, which extend beyond the description on the face hereof. We shall not be liable for any incidental or consequential damages. Note: All specifications subject to change without notice.